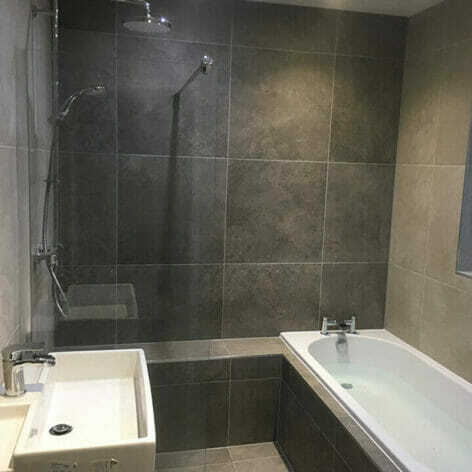 From ceramic wall tiles to natural stone floor tiles, Aztec Interiors have over 15 years experience of preparing and fitting wall tiles and floor tiles for clients throughout County Durham and the North-East of England. 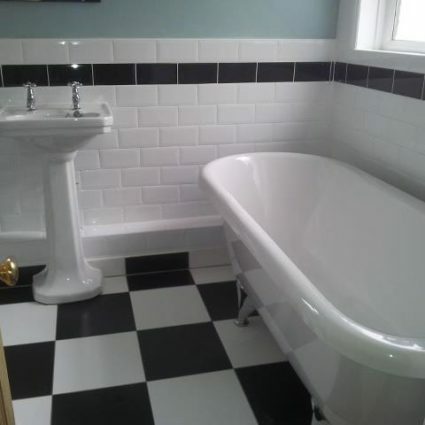 Whether you’re thinking of tiling the walls or floor of your kitchen, bathroom, conservatory, sun-room or wet-room, or would like your existing wall or floor tiles refreshed and re-grouted, Aztec Interior’s experienced, qualified tilers are on-hand to prepare the area correctly and carry out the job to our high specifications. 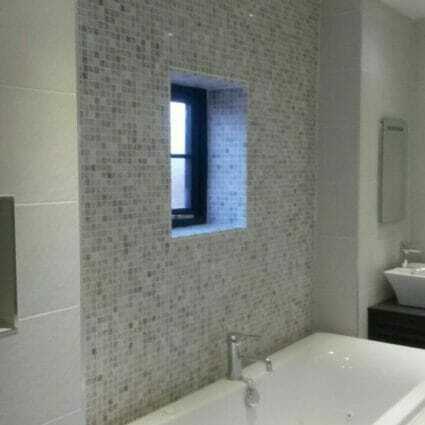 For more information on our tiling or re-grouting service, contact Aztec Interiors by telephone on 01207 502 029 (mobile 07940 490 816) or by email on [email protected]. From ceramic to glass, the clean crisp lines of wall tiles will complement your kitchen or bathroom design. 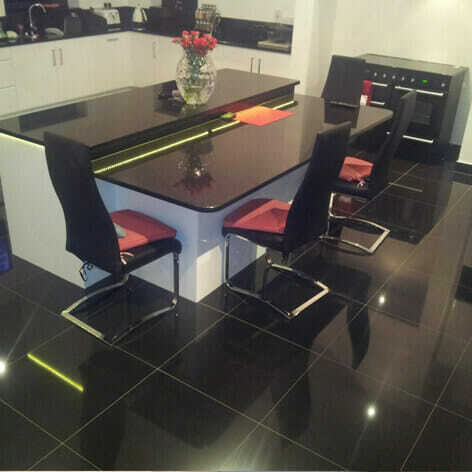 Aztec Interiors experienced tilers will prepare the surface and lay your choice of wall tiles. 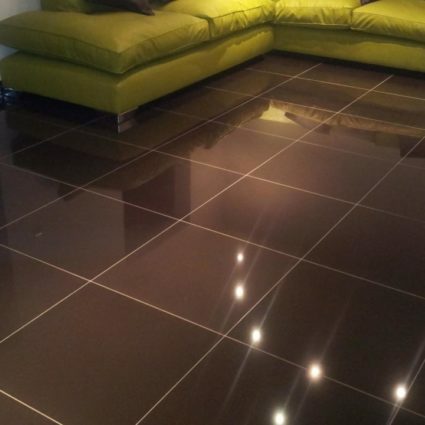 At Aztec Interiors we know that there's more to tiling a floor than just the tiles. 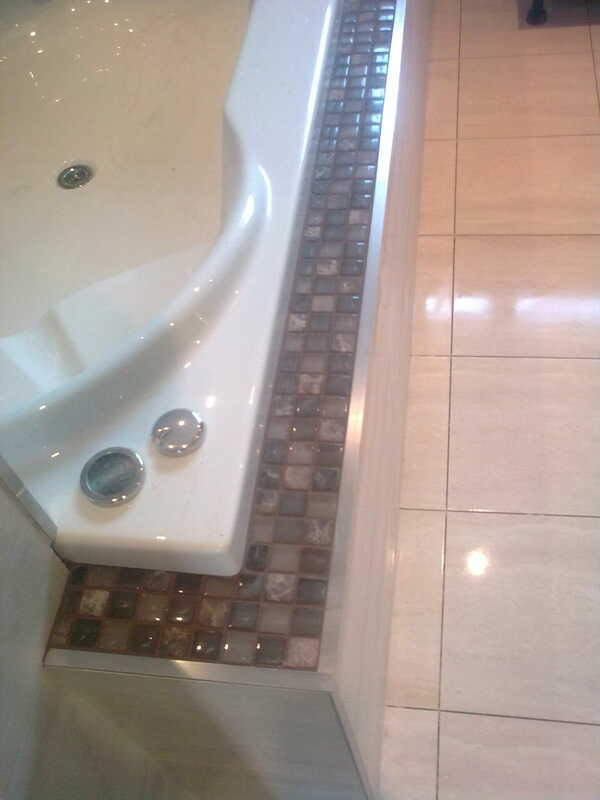 Our experienced tilers will ensure that your floor is perfectly prepared before a tile is put into place. 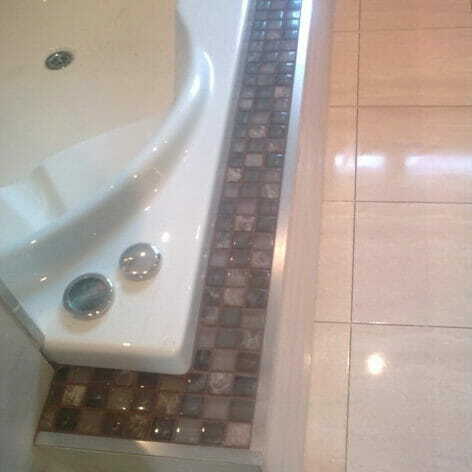 We provide a full removal & re-grouting service for your discoloured or damaged grout giving your old tiles a new lease of life. 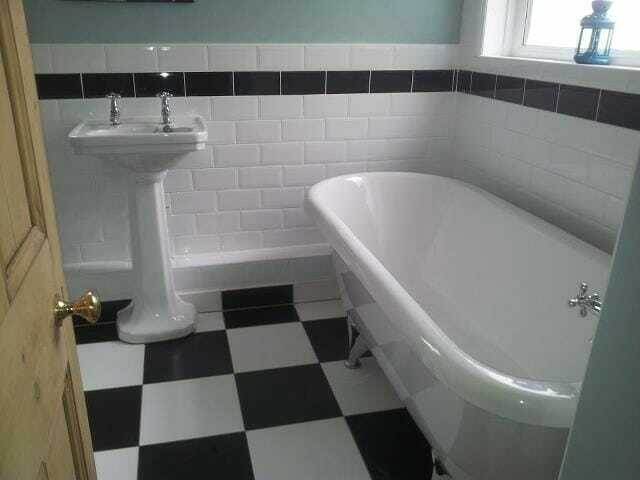 Don't put up with tired looking tiles - let us restore them to their former glory.. The preparation of a sound, solid surface to tile onto is fundamental in the tiling process. 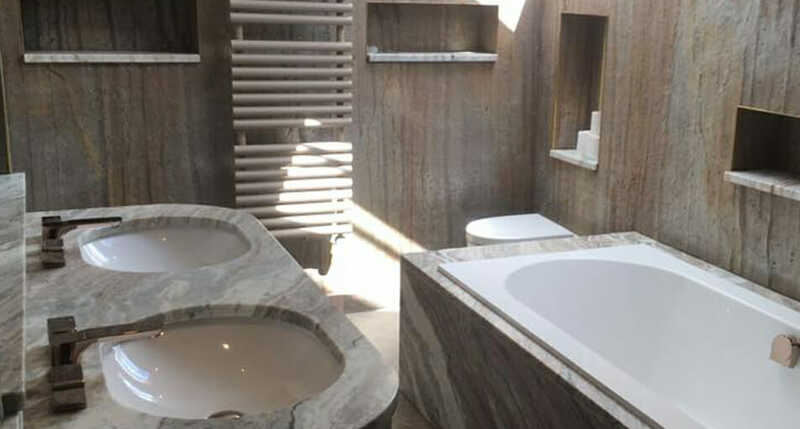 At Aztec Interiors we can offer professional advice regarding surface preparation for the type, size and weight of the tiles that are to be fixed to ensure the surface is appropriate. 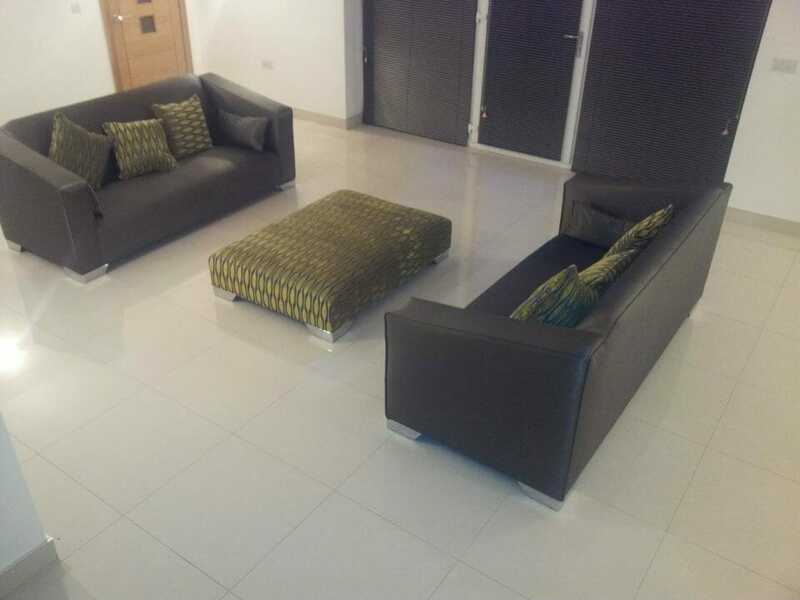 Our wall and floor tiling service includes, where necessary, the full preparation of the surface to be tiled. 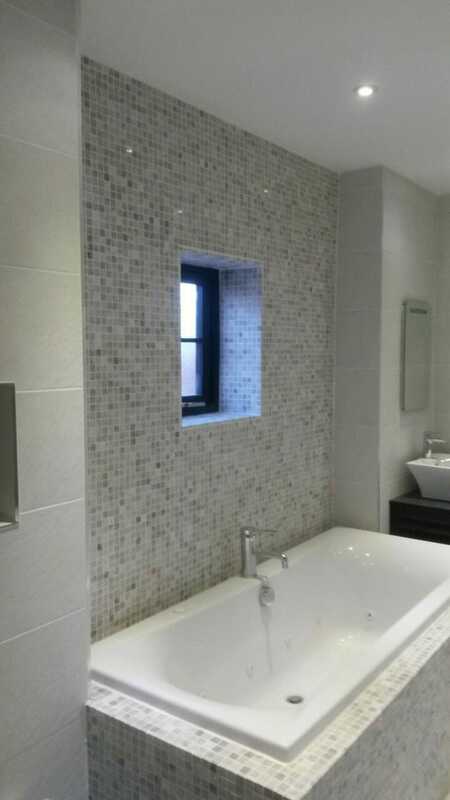 We are able to plaster or scree any wall or floor prior to tiles being attached. 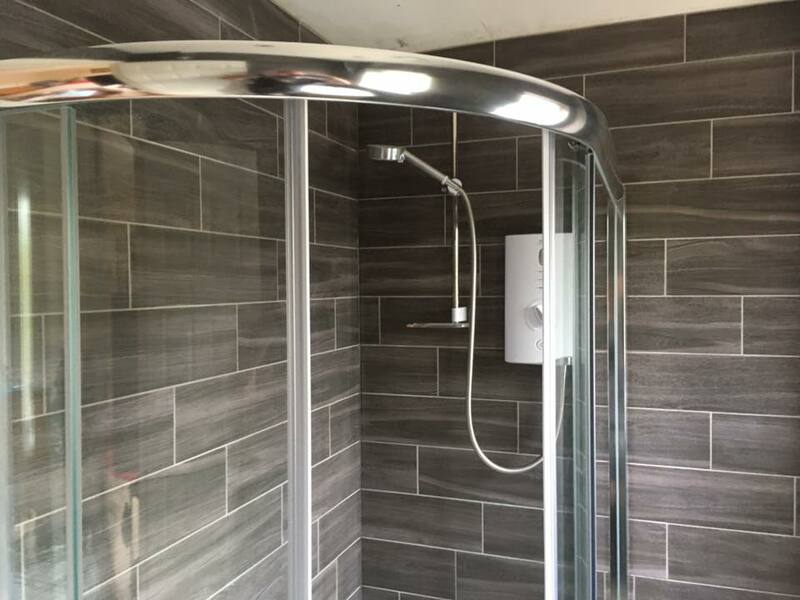 With many years experience of fitting wall and floor tiles, we have close links with a number of tile suppliers and can advise upon the most appropriate tiles for the area. 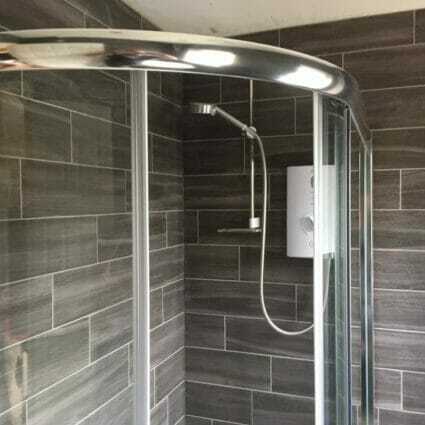 En-suite, re-tiled, new shower & enclosure & heated towel rail. 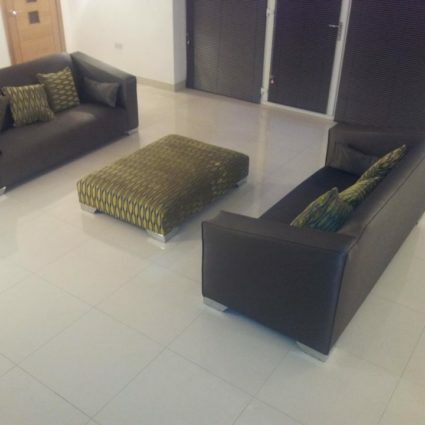 Very professional, courteous and tidy – good communication throughout the project. Helpful in suggesting materials and suppliers and excellent value overall. Would highly recommend.